*Imported & Shipped Directly from USA* Amazing Grass Green Superfood powder delivers a ..
*Imported & Shipped Directly from USA* Green SuperFood with natural, daily immunity ..
*Imported & Shipped Directly from USA* Green SuperFood is packed full of n..
All natural vacuum fried seasoned jackfruit crips is free of preservative,MSG added colours, & f..
Graminway Tropical Fruit Mix is a naturally sweet, crunchy, and juicy extravaganza of all things goo..
Green Superfood® is packed full of nature's more nourishing, cleansing and potent superfoods, alkalizing greens, antioxidant-rich fruits and support herbs. 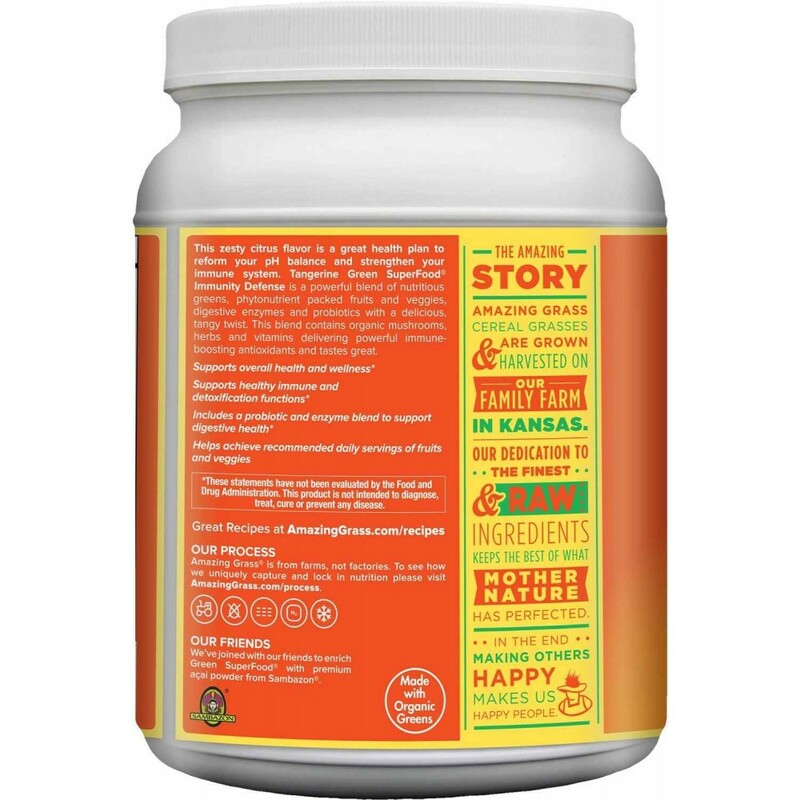 Boost your immune system naturally with 500 mg our premium mushroom blend, immune-boosting herbs, and 1,000 mg of Vitamin C in a delicious Tangerine flavor. 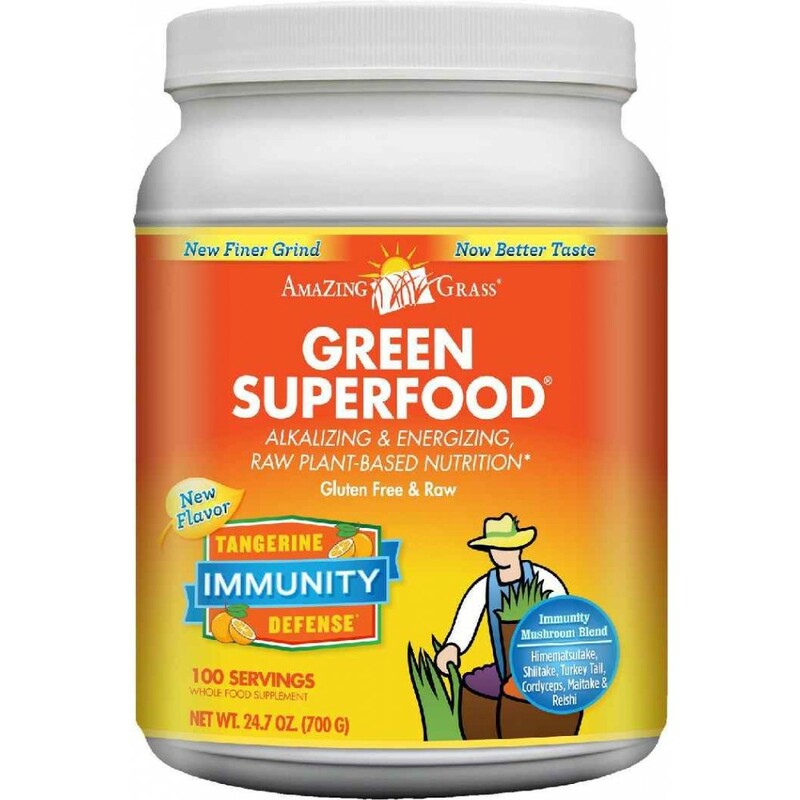 Amazing Grass® Green Superfood® offers a full spectrum of alkalizing green superfoods, antioxidant rich fruits, and support herbs united with Acai and Maca to provide a powerful dose of whole food nutrition. Green Superfood® helps you achieve your recommended 5 to 9 daily servings of fruits and vegetables and our finer grind not only provides superior taste, it increases nutrient bioavailability. Green SuperFood® is blended to perfection in a delicious tasting powder, with more organic whole leaf greens per gram than other green superfoods. Enhanced with probiotics and a digestive enzyme blend, Green SuperFood® is certified organic by CCOF to ensure every ingredient is of the highest quality and integrity. Nutrition your body needs with 10 delicious flavors and functions you’ll love! Amazing Grass® grasses are grown at our family-run farm in Kansas and we are dedicated to the finest and raw ingredients keeping the best of what Mother Nature has perfect. In the end, making others happy makes us happy people! Food sensitivity: Contains caffeine (85mg plant based). Gluten Free, Vegan and Raw. Natural flavors, peppermint, stevia and silica. All flavors used by Amazing Grass are organic compliant, GMO free, all natural, kosher pareve and vegan. Best kept frozen, refrigerated or in a cool, dry place after opening.Suggested Use: Mix 1 scoop with 8 or more ounces of water, juice or in your favorite smoothie. 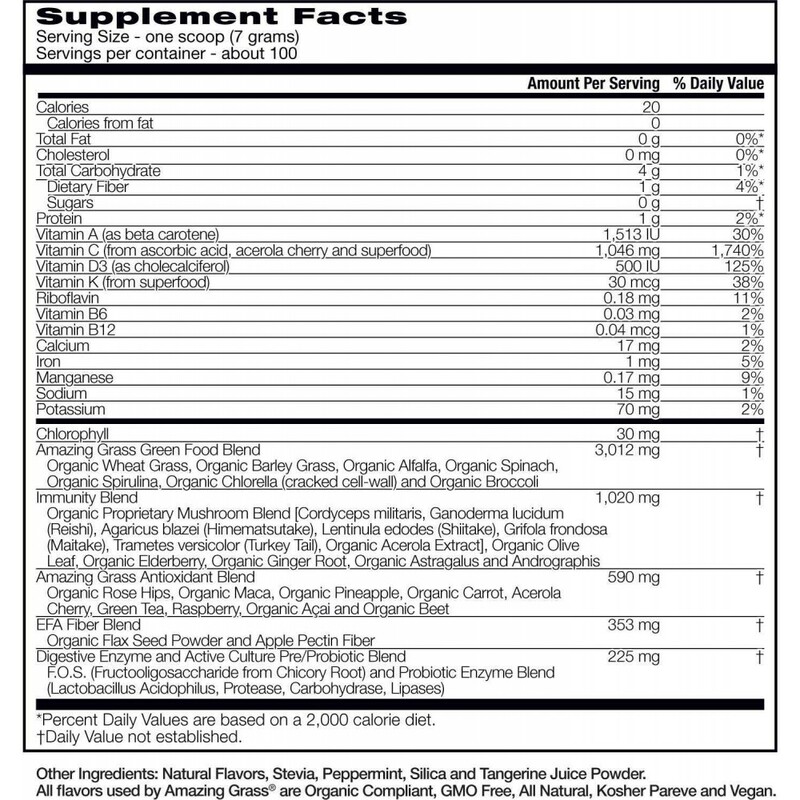 * This is a dietary supplement. These statements have not been evaluated by the Food and Drug Administration. This product is not intended to diagnose, treat, cure, or prevent any disease.